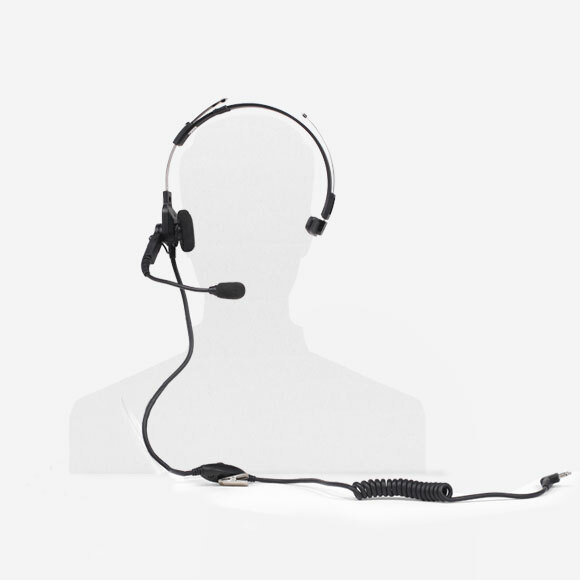 Headsets are an accessory to our Motorola CP200 walkie talkies. They are single-muff, adjustable, and lightweight, with swivel boom microphones and an in-line Push-To-Talk (PTT) switch. They provide high-clarity, hands free, discreet two-way communication while maintaining the comfort necessary for extended-wear in moderate noise environments. This product is included upon request with any walkie talkie rental free of charge.